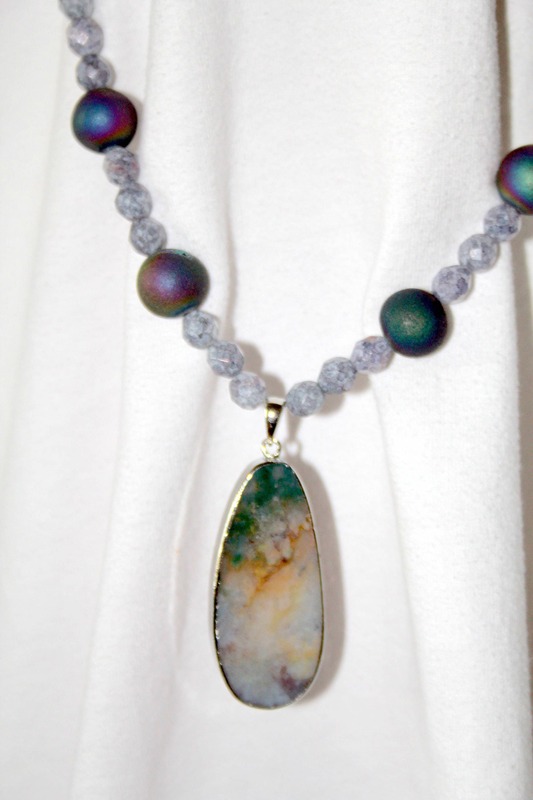 This necklace features a long oval pendant of ocean jasper wrapped in a silver toned bezel. The pendant has a translucent white crystal base with shades of sea green, tan and lavender swirling inside. 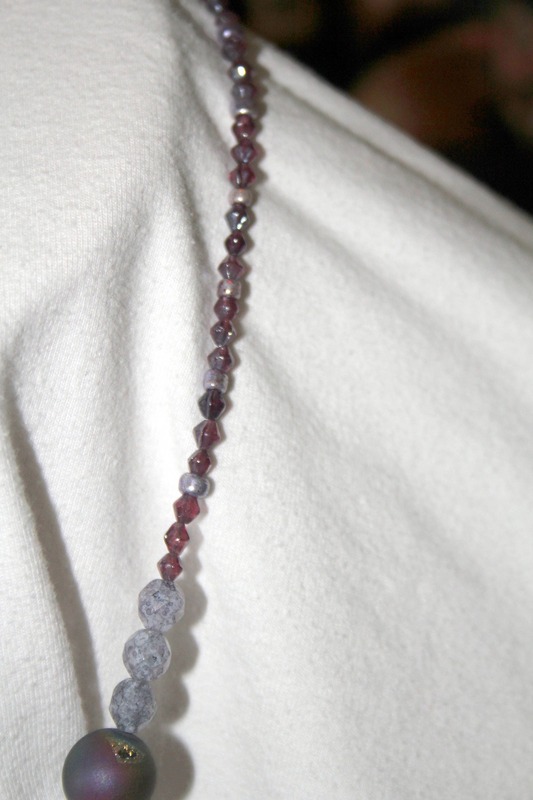 The necklace is made with Czech glass lavender, faceted beads and has four quartz, druzy beads to highlight the pendant. The druzies have little peaks of crystal in them. 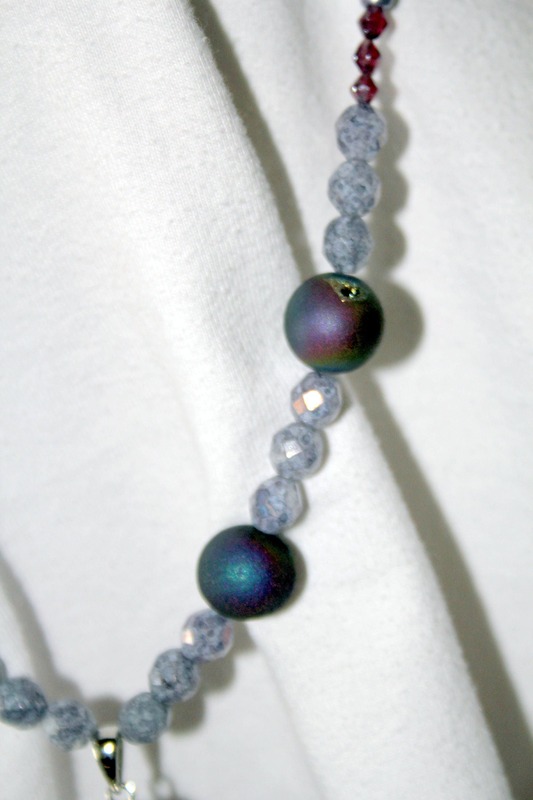 The neck pieces are strung with purple, four sided glass and silver seed beads. 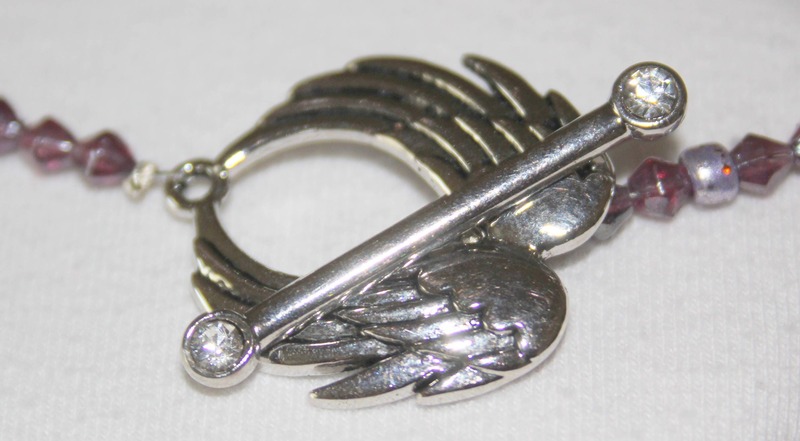 The clasp is a silver toned toggle set of wings with crystals set in the bar ends. The necklace is 26" long (not 20 as in description). This necklace is elegant and unique.